Let me begin with a disclaimer: I have never in my life grown or managed to take care of a plant. That being said, I decided that this year was the year to change that. I don't know if it's the fact that I now live somewhere that actually has Spring or that I'm suddenly responsible for buying my own food, but I've been completely inspired to have my own herb and vegetable garden. When a friend told me that our town was hosting an HerbFest this weekend I decided to drag Tom along and make this dream a reality! We got ourselves out of bed Saturday morning, ventured to a local breakfast restaurant for some pancakes and french toast, and then headed to HerbFest 2013. Neither one of us had any idea what to expect, but we fell in love almost as soon as we got there. 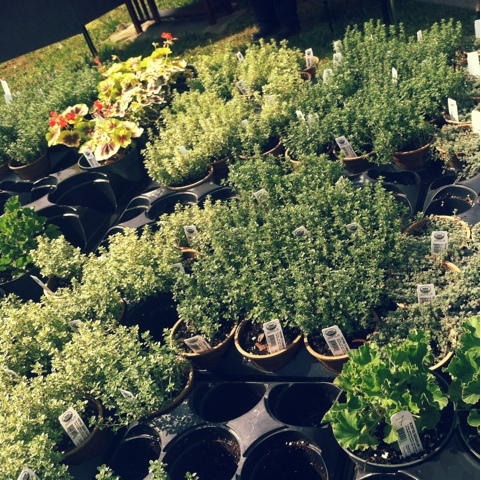 There was flowers, herbs, and vegetables of every kind and variety. We walked around for nearly a half hour just smelling plants and reading about how to take care of them. When it finally came time to pick which ones we'd be taking home with us we hardly knew where to begin. We knew that we wanted a variety, but we wanted them all to be things we would actually eat and cook with. In the end we brought home Peppers, Mint Chocolate (So yummy!!! 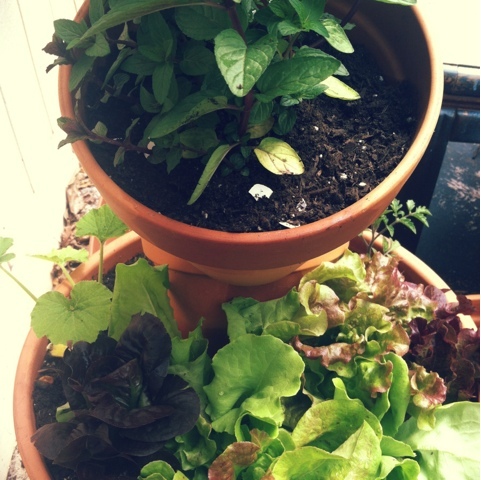 ), Zucchini, Thai Basil, Cilantro, Tomato, Curry, Lettuce, and Oregano. 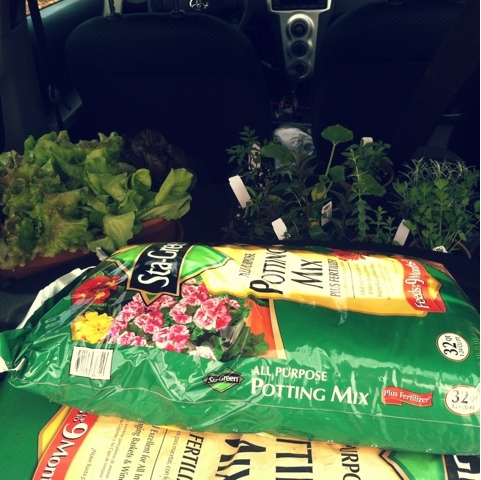 From there we headed to Lowe's to buy potting mix and a few clay pots. Since we're both completely new to the gardening world we made sure to ask lots of questions about what kind of care our plants would need. At the HerbFest we met a man selling a set of poles used for stacking pots. I knew that we could have made the same thing ourselves, but these had holes already drilled in them so that water gets into the base of each pot to really take care of the roots. We had such a good time deciding which plants to put where and how to stack our pots. We both love the finished product so much! 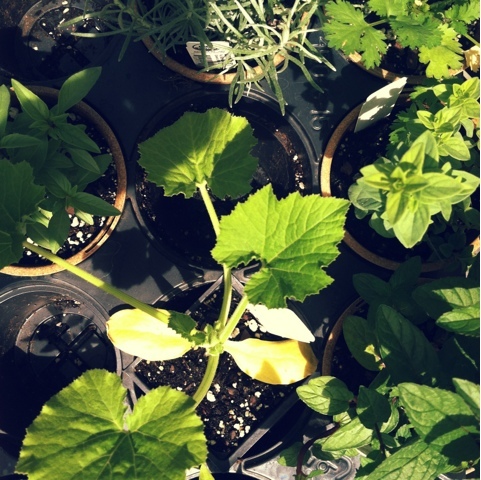 We've already done more reading about each of our plants specifically so that we can take great care of them. We find ourselves periodically peaking our head out the back door just to make sure they haven't all shriveled up or sprouted any vegetables while we weren't looking. I was definitely a little nervous and intimidated because I'd never done any kind of gardening before, but I'm so happy that we finally took the plunge. I'm so proud of our plants, and I can't wait until we can begin using them. 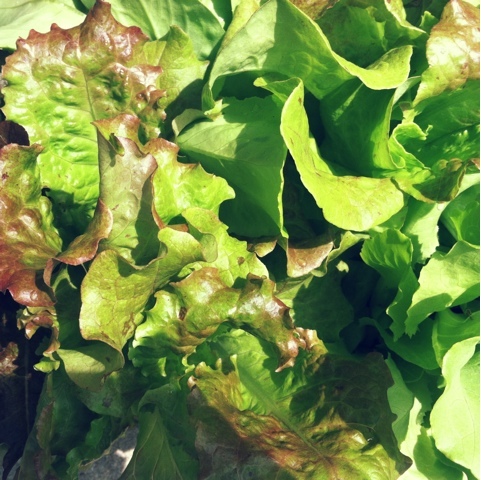 If you've been thinking about starting your own garden I definitely recommend that you do! 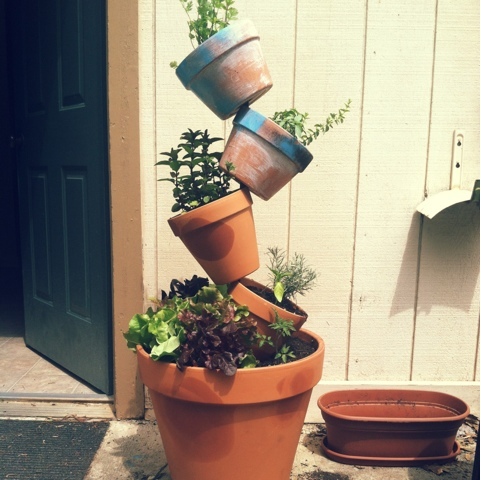 If you're a seasoned gardening pro then share some of your secrets with us!